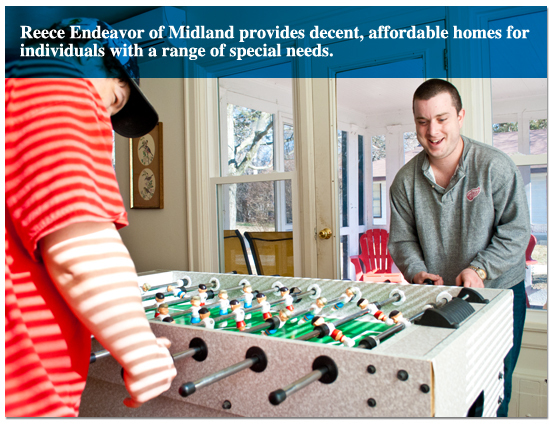 Reece Endeavor of Midland provides decent, affordable homes for individuals with a range of special needs, whether physical, sensory or developmental. We are committed to helping individuals with special needs live in decent, affordable housing. We do not “place” individuals in homes. Instead, individuals work with their support system of family, friends and professionals to find the home that is right for them.